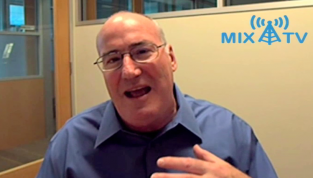 MIX Maverick Bob Sutton discusses how power can corrupt even the best leaders and shares some tips to avoid common pitfalls. My belief has always been that if an individual is given the "gift" of power and influence; he/she should use it help or to have the most positive impact on as many people as possible. This can be applied to both their professional and personal lives. Professionally; we definitely need more selfless leaders in government officials and CEOs of corporations. These individuals carry a tremendous responsibility to lead in a way that sets an example for others. If they practice greed and corruption to get ahead, they are setting these behaviors as the norms for the society. If they practice selfless leadership and put the best interest of the citizens and their employees ahead of their own; they set these behaviors as norms for the society. Somehow we (a non-profit organization/Government/?) needs to do more to encourage and drive the right behavior by esablishing recognition/awards ("Demonstration of Selfless Leadership") for CEOs and government officials that are setting the right norms in our society by their own demonstration. It sends a strong and clear message to others of the behaviors we value in our society.